U.S. Americans celebrate the fourth Thursday of November as the Thanksgiving Day. Families gather together and celebrate this special day in their own traditional way. Many people eat turkey, cranberry and pumpkin pie, watching American football game. Also, they typically express thanksgiving to God who has provided many things throughout the year. 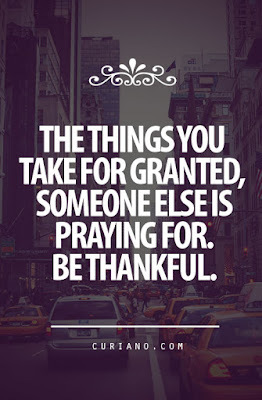 I was wondering why people tend to forget to be thankful. The most obvious spiritual reason was the depravity. Sin keeps us from being thankful. 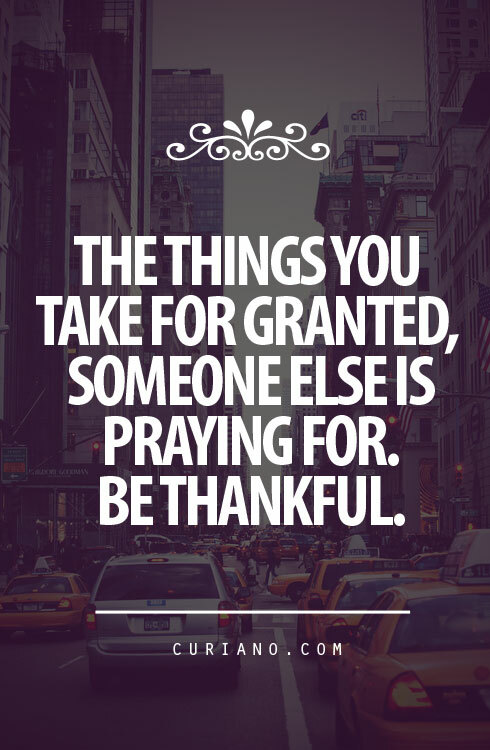 Also, we tend to take many things for granted while they may be what someone else is praying for, leading to lack of grateful heart. As I was looking for more reasons why people are not grateful, I have run into an article that Dr. Stephen R. Graves has written: The 7 Enemies of Thanksgiving. He has listed and briefly described 7 things that can easily destroy our attitude of gratitude. 1. Narcissism - If you are self-focused, you tend to take things for granted and not be grateful. 2. Unbridled appetite - If you lack contentment, you will be less likely to be thankful. 3. Disregard for the small and intangible - If you keep chasing the bigger and the better, you will not be grateful for the small and intangible things that you should appreciate. 4. Captured by consumptive culture - If you are polluted by the materialistic consumerism, you will be more likely to remain ungrateful no matter how much you have. 5. Separated memory - If you do not know how to reflect the blessings received in the past, you will remain discontent about the present. 6. Upward comparison - If you compare yourself with people who have more and live wealthier, you will tend to feel unhappy and want more, leading to discontentment and ungratefulness. 7. Lack of vulnerability - If you have always been in a position to give or help, you tend to elevate yourself unnecessarily too high, thus feeling no need to thank anyone. To read the entire article, please click here to go to the link. On this upcoming Thanksgiving Day and beyond, I pray that you and I will learn to cultivate the attitude of gratitude more in our heart and put it into practice in our daily lives.